From the previous post, you may noticed that I got a set of rim for my project Celica and now I got update for my project Kancil as well. To cut thing short, I got myself a Daihatsu Mira L5 black trim dashboard a couple weeks ago. To be honest this upgrade may not necessary to most of us but I really can't resists to the price offer for this item. Thus during this holiday weekend, I got my hand dirty to install the dashboard. Thing went pretty smooth as there is no wiring needed to be worried. 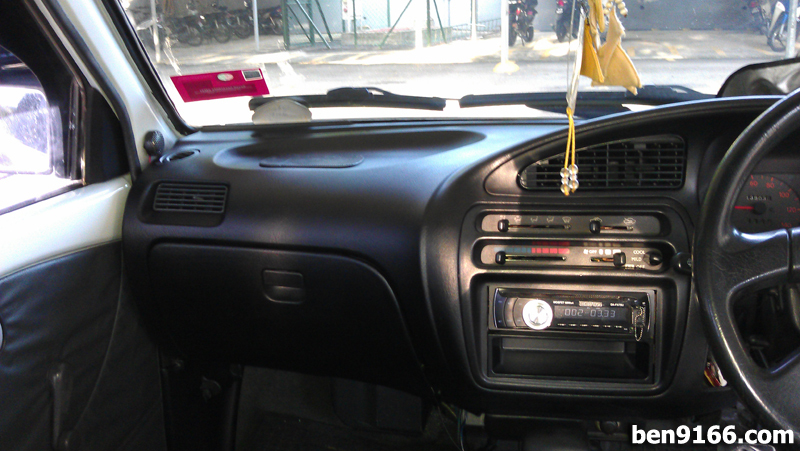 I just removed the old grey trim dashboard and replaced it with the black one. I used back the red wording dash meter instead of went for the white wording meter came along with the dashboard. 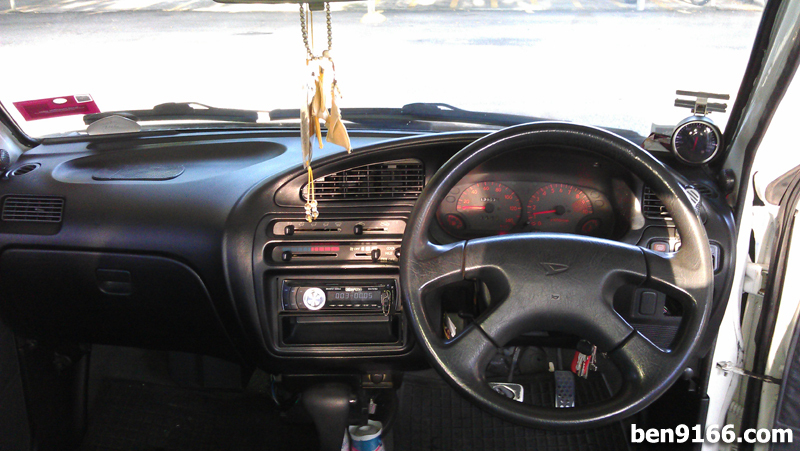 It took me nearly 3 hours to get everything intact but at the end of the day, I felt satisfy with the new interior. So the next thing is to get myself a Daihatsu Mira L5 dashboard tray with cup holder and a set of pillar cover since my Kancil does not have it. 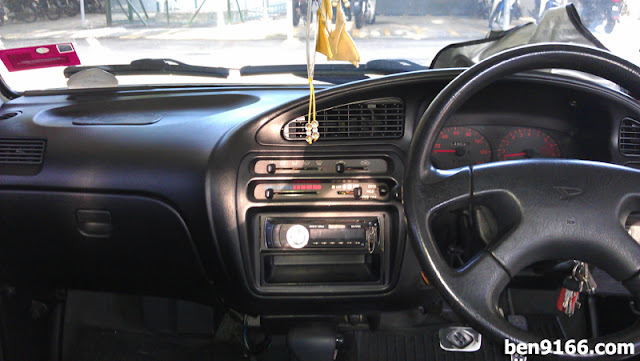 Here are the pictures of the black dashboard. I cut off all the available socket holes at the right side for the rear wiper, fog lamp, demister switch. Besides that, I cut a hole for the side mirror switch as well for future usage. This will ease my side mirror installation for the near future.